As specialist North America tour operators, we believe that where you stay is just as important as where you go and what you see. We are constantly researching our destinations and sometimes we come across particular hotels, ranches and resorts that are almost destinations in their own right and add another level to the overall holiday experience. You might be looking for an "Ultra Resort" with all of the luxuries and amenities like spa, golf, stylish restaurants, exceptional service and suites fit for a king. But it doesn't have to be all about luxury. We know wonderful ranches and resorts that are just perfect for families where it's the kids that are king; activities and facilities geared around the youngsters can make for very smooth and relaxing holidays for grown-ups too. And then there's location, location, location. Maybe you're looking for a quiet bolt-hole in the very heart of the action; or a cosy inn right on the beach; maybe a lodge set high on a ridge with views that go on forever; a guest ranch to chase away some of the "city slicker" in you; or a simple cabin in the mountains away from it all. Bon Voyage has a wealth of knowledge and access to resorts, ranches and retreats across North America and would love to help you source the right place for you. This holiday offers lively urban centres, remote wilderness destinations and the unrivalled beauty of Vancouver Island’s scenery. Discover the best of America's great outdoors with Northern California. Explore its majestic Giant Redwoods, spectacular coastline, rugged mountains and crystal clear lakes. Treat yourself to a holiday filled with sumptuous Fairmont hotels whilst enjoying the Canadian cities of Quebec City, Toronto and Montreal. A classic route, featuring breathtaking scenery in the provinces of British Columbia and Alberta. From Vancouver, Okanagan Valley and Glacier National Park to the regions of Banff and Jasper. A spectacular adventure packed with world-class resorts and a mosaic of landscapes awaits you as you travel from towering mountains to rugged coastlines. Where you stay is the heart of your holiday. Location reigns supreme but do you prefer resort facilities or unique and boutique? Historic and old world or modern and shiny? We aim to present choices across the spectrum but there are many hundreds of places to stay and not room to feature them all. Do speak to your Bon Voyage travel consultant and click the video for our take on this important topic. We would rate the Bellagio as one of the best hotels we have ever stayed in. Fabulous, glitzy, exciting. We loved having breakfast at the poolside café... one of our best experiences ever. If it hadn't been for you we wouldn't have had the suite or cabana and we loved them. We both agreed that the hotel was the best for us and you had suggested that so well done! An award winning, working old time cattle ranch with the Santa Catalina and Rincon Mountains as a backdrop- amazing! Escape to Captiva Island's most prestigious address - South Seas Island Resort. This first class resort is a Bon Voyage favourite with miles of the most shell rich beaches we've ever strolled! A St. Pete's Beach historic landmark. It doesn't get any grander than the Pink Palace. In a word - sublime. Wish we were there right now. Having just re-opened after an extensive renovation, The Colony Palms Hotel, has regained its swagger as a stunning four-star boutique. Just over 1.5 hours drive from Colorado Springs or just under 3 hours drive from Denver International Airport. At an elevation of over 8,000 feet, the Tarryall River Ranch is set amongst Aspen and Ponderosa pine trees in a stunning heritage area, near Lake George. Stagecoach Trails Guest Ranch is situated in north-west Arizona a two and half hour drive from Las Vegas. Sample modern cowboy life at this cosy little ranch. This is the perfect location for relaxation, romance and sunsets all within 30 minutes from Tampa. Enjoy magnificent views across the beautiful marina, enjoy a pre dinner cocktail at the Tiki Bar whilst experiencing a romantic sunset for two. If you're looking for the perfect escape, you've just found it. Luxurious accommodation RIGHT on the Gulf Of Mexico. Enjoy marvellous views of the California coastline or stunning city skyline from every part of this beach resort. The Westin is set in the exotic desert sanctuary of Rancho Mirage - 20 minutes from the buzz of downtown Palm Springs. Part of the Waldorf Astoria Collection, The historic La Quinta Resort & Spa, located 20 miles from Palm Springs is a legendary hideaway, renowned since 1926 for its charm and serenity. Where landscape and resort meet, making the most of a California High Sierra experience. A quiet slope side property that features only condominium style rooms with the feel of a full service hotel. This charming, informal ranch gives you a feeling of the Old West. Luxury with a view and steps from Uptown Sedona. The perfect special occasion setting. Situated on beautiful Quadra Island, April Point Resort & Spa is a 10-minute water taxi ride from Campbell River. With only a 10 minute ferry ride from Campbell River this Lodge is set in 1100 acres of evergreen forest, this truly is a magical place. Built between 1913-1914, Lake McDonald Lodge is nestled on the shores of the largest lake in Glacier National Park. Nestled in the base of Mount Timpanogos, this full service hotel is set in 6,000 acres of sheer Wilderness. The most popular and well known of the ranches in Utah, near to Bryce and Zion parks. Nestled at the foot of picturesque Camelback Mountain, this stunning location is just minutes from Scottsdale's urban centre. Four poster beds and rooftop pool - enough said! Beautiful suites, amazing setting - holiday perfection. The Cody provides a convenient location just 45 minutes from Yellowstone National Park. As THE premier luxury hotel in Cody, they take their commitment to the environment seriously while offering many upscale amenities. Enjoy luxurious lodgings in the heart of Wyoming wild country. Spring Creek Ranch, a year-round luxury resort, is located on a wildlife sanctuary, almost 1,000 feet above the town of Jackson, with spectacular views of the Teton Mountain Range, including the world famous 13,700 foot Grand Teton. Nestled at the base of beautiful Mount Shasta is one of Northern California's finest All- Season Resorts. Mount Shasta Resort encompasses all that you could ask for when searching for a place to play, dine and unwind amidst some of the most pristine landscape imaginable. Located just one hour north of the Golden Gate Bridge, the Lodge overlooks the Pacific Ocean, Doran Beach State Park and the spectacular green bluffs of Bodega Head. Located along the lush emerald cliffs on the north shore, the resort perfectly blends into the inspiring beauty surrounding it and offers both room and villa accommodation. A true guest ranch in Northern California between Redding California and Medford Oregon, this former San Francisco Boys Camp was converted to a full time guest ranch in 1954 and had been owned by the same family since 1976. In the late 1890's Mr. Norman Meldrum drove a herd of cattle from Colorado up to Buffalo, Wyoming where he had acquired some land. The cattle were wintered near the present Soldier's Home and summered in the upper meadow range of the Big Horns, which was to become Paradise Ranch. Price Canyon Ranch is an exclusive working cattle and guest ranch located in the Chiricahua Mountains of Eastern Arizona.. Enjoy one of Washington States finest stretch of beaches when you stay at the Kalaloch Lodge situated in the wild and wonderful Olympic National Park, just a short drive from cosmopolitan Seattle. Set on 3,000 acres, Sun Mountain's unique combination of privacy, tranquillity and serenity is balanced by the highest standard of excellence in service and guest amenities make this an unmatched experience. From the soothing, silvered cedar of its rooms, divided among eight units in a hillside forest preserve, to its wood-burning fireplaces, Salishan embodies a uniquely Oregonian elegance. Summer in Jackson Hole offers an array of stunning vistas, lush flora, roaring rivers, tranquil alpine lakes, rare wildlife and big blue skies. This hotel's setting presents countless opportunities for outdoor fun and adventure. Anna Wulf historic B&B is located on the Northern California Coast surrounded by Redwood forests and the Pacific Ocean. Located in the stunning Rogue River National Forest. It's a cosy riverfront inn, built around a historic fishing lodge. 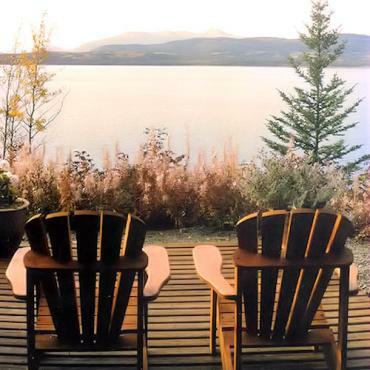 Rustic guest ranch located a 20 minute drive to Wells Gray Provincial Park, British Columbia's third largest protected wilderness area. A short drive north of Mont Tremblant set in one of Quebec’s most picturesque landscapes is Blueberry Lake Resort in the heart of the Laurentian Mountains. Pender Island is known as ‘the jewel in the Gulf’ and Poets Cove Resort and Spa is another sparkling gem. Nestled between vast boreal forests and the desert of the Great Basin, this wild area also boasts the highest mountain in the Canadian Rockies. 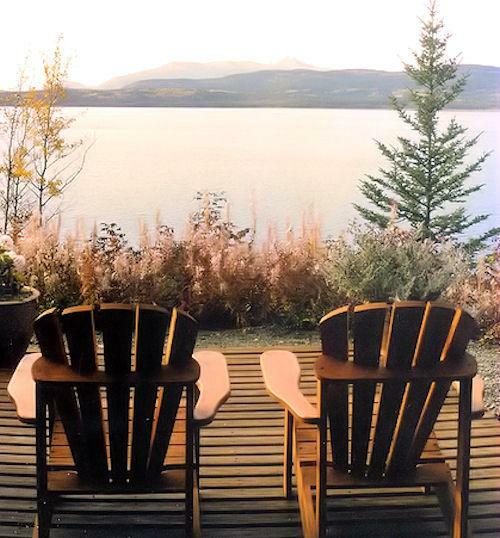 Surrounded by the Rocky Mountains and perched on the edge of one of Canada's most spectacular lakes, is one of British Columbia's most desirable lodges. Set in Yoho National Park and dating back to 1902, the cosy cabin style lodges make the ideal outdoor retreat. Built in 1905, the Historic Lund Hotel is located at the top of British Columbia’s beautiful Sunshine Coast at the gateway of renowned Desolation Sound. This gracious stone and wood lodge is set in a beautiful mountain valley, surrounded by a ponderosa pine forest. Jackson’s Historic Landmark, The Wort Hotel, is an elegant hotel rich in the history that thrives in the heart of Jackson Hole. Situated right next to the famous, rustic Old Faithful Lodge, the Snow Lodge offers superior and modern accommodations to its sister hotel. The Lake Yellowstone Hotel and Cabins offer a comfortable place to stay with beautiful scenery. Grouse Mountain Lodge is a full service, luxury resort. This romantic paradise offers complete relaxation in an unhurried atmosphere. Located in the heart of Natchez, Dunleith is surrounded by forty acres of landscaped gardens and wooded bayous. Early 19th century antebellum mansion full of southern grace and charm. Welcome to Washington State and the glorious Olympic Peninsula. Nestled in the White Mountains, this elegant gem captures the golden age of New England hospitality. The Pocahontas Cabins are located in a peaceful area, just 25 minutes away from the bustling town of Jasper. A mountain retreat nestled in the heart of the beautiful Smoky Mountains with villas ranging from studio to five bedrooms.